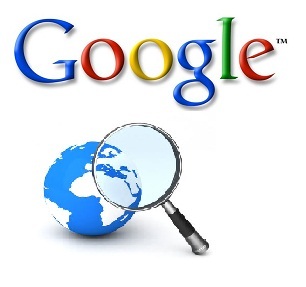 Most of high ranked websites are using Google Custom search engine as search tools for their website. Because it helps to show better result according to your search keyword. I provided lot of search box for blogger. Google Custom search engine also working pretty well. 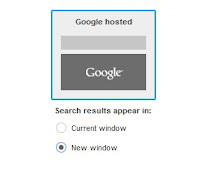 When you are searching something on bloggertrix via Google Custom search,did you see the result page appear on new tab page? Hope you got the idea about it. So this tutorial help you to give a answer for you. Im gonna explain how to add a Google Custom search engine to your blog and, display result in separate page.Its easy, follow my guideline. 3. Now you can choose layout such as two pages,full width,Result only etc. 5. You can customized themes as your like.After that click Save & Get code. 7. 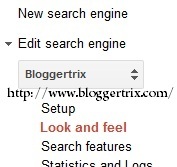 Log in to blogger account and Click drop down. 8. Now select "Layout" Like Below. 10. Paste the code that given and save your template. Great post, I am exploring your site this evening. And seriously you post are great. Keep the good work sir. Thank you very much my friend,really I like U'r post keep in touch from INDONESIA. Sir you have done a creative post. Many Bloggers will be applying it in their respective blog. helped me alot thanx for such helpful post.